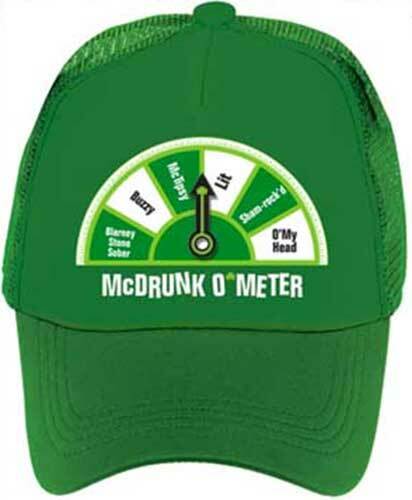 The Irish drinking cap features the humorous McDrunk O' Meter dial. This green Irish cap has a mesh back and a strap for size adjustment; the one size will fit most adults. This is just one of the many Irish caps that are available at The Irish Gift House.